Love the way this old barn sits proundly on top of the hill with it's collapsing silo. I had hoped to paint it this passed winter, never got around to it. I took advantage of an early spring snowfall to get one more snow painting in. 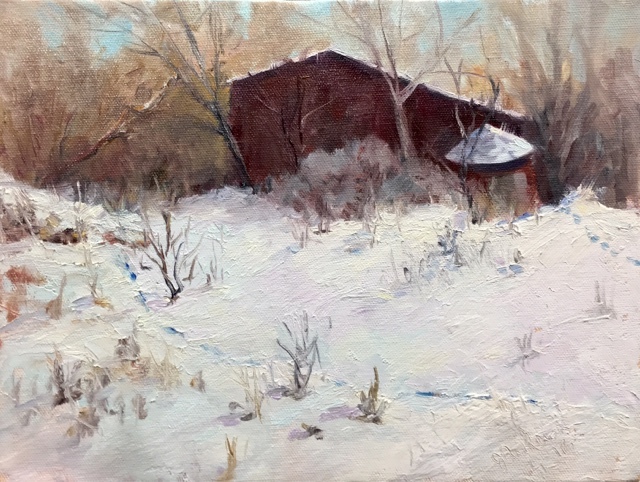 Labels: early spring snow, Minnesota, old barn, plein air, trees silo.